“My work stems largely from my personal experiences with a range of landscapes. I am interested in how nature has the power to reclaim everything. I became interested in these effects when I experienced the loss of my childhood home in a brush fire in Santa Barbara, CA. Seeing the ferocity of nature reduce a structure, that had always been present in my life, was humbling. 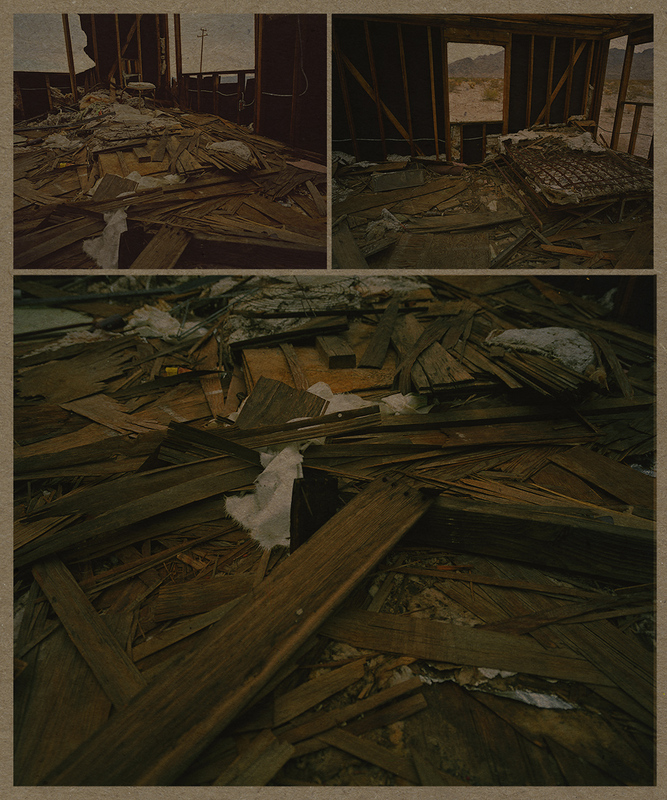 As a result of my experience with the fire, my photographs deal with issues of abandonment and decay. I search for environments that have been set aside by people for some period of time, ranging from a day to decades; then I document the discarded objects that I find in those places. I am interested in how the human hand, time, and weather affect spaces and the things that inhabit them. My work is about the absence of people—a study of the negative space that highlights their lost presence. My photographs are portraits of ghosts; the people you can learn about through what they have left behind. I find traces of people more fascinating than traditional portraits of people because they give me room to bring my own experiences to my reading of the objects.